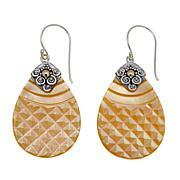 We bet you've never seen such beautiful gifts from nature like these oval-shaped shell earrings. 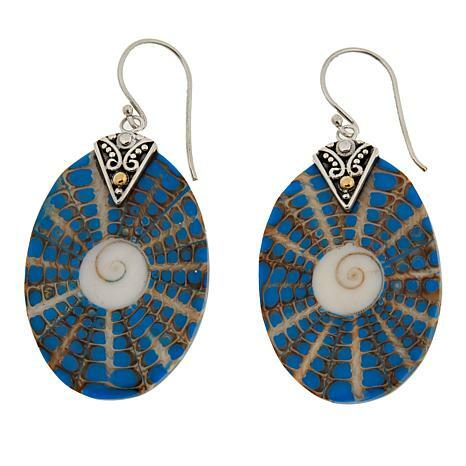 Featuring a roll-like pattern, these beautiful elongated shells will flatter any face shape and look amazing with any outfit. My daughter said as soon she put the earrings on she felt positive vibes. She went to China and didnt get to pick up any Jade or Mother of Pearl jewelry, thank you I checked in at the right time. 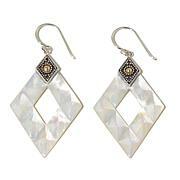 Lovely earrings that go with any style. Lightweight and comfortable to wear. I purchased the black option. 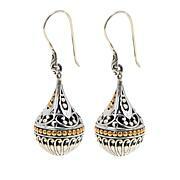 Bali designed earrings are beautiful! he backside is so pretty like mother of pearl! Can't wait to wear them out. Only one thing is wished they came with backings to keep them from coming off so easily! Don't want to lose them for sure! 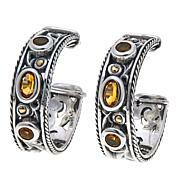 Its just a wow earring. Bought to match my dress. Love it. Very light.